A headline in the online edition of Christianity Today last week caught my attention as it declared “Americans Warm Up to Every Religious Group Except Evangelicals”. Without getting mired into the details of the Pew Research Study upon which the article was based, (If you’re interested, <click here> ) I will just note that it was based upon a recent survey of 4200 Americans as to how favorably they viewed various religious groups: Jews, Catholics, Mainline Protestants, Evangelical Christians, Buddhists, Hindus, Mormons, Atheists, and Muslims. 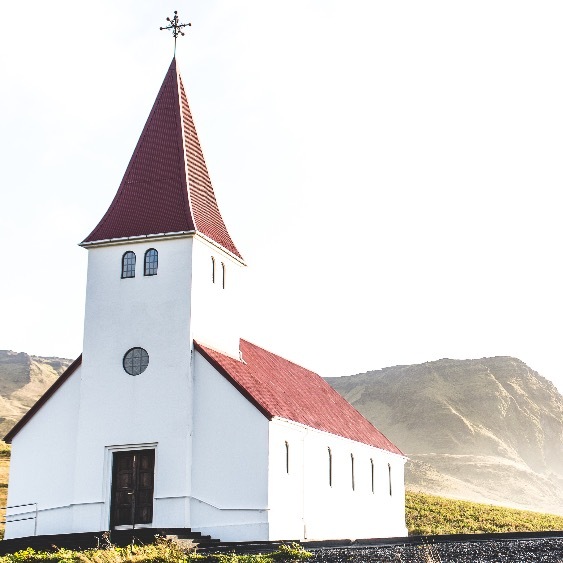 The main point emphasized by the article was that every religious group received a notably more favorable rating than it had received in 2014 with one glaring exception – evangelical Christians, who remained steady at 61% favorability. On the surface, that might not sound so discouraging unless you drill a little deeper into the results. Removing the responses of evangelical Christians, who rated themselves very highly, drops the favorability rating of evangelicals down to just 32% among non-evangelicals. Additionally, the research revealed that respondents from the Millennial generation viewed evangelicals equally favorably as they viewed Muslims and atheists. Take a moment to let that sink in! Several suggestions were offered concerning the meaning of these results. Personally, I believe there is increasing confusion over the very term “evangelical Christian”. Among the American population in general today, it often carries more of a political meaning than a religious one. I can’t help but think that such attitudes might be contributing to those disappointing results revealed above – especially among Millennials. Does it matter what others think of us? Is there anything we can do to change others’ opinion of us? On both counts, I believe the answer is a resounding “Yes!”. Does it matter what others think of us? … Absolutely! As his ambassadors, what others think of us reflects upon the Christ we represent. As letters from Christ, what others think of us either opens doors for witnessing or closes ears to our message. And the aroma we project will either draw others to Christ or drive them away. If it drives them away, it is probably not the pleasing aroma of Christ we are projecting. Does it matter? … Maybe we should ask a Millennial. 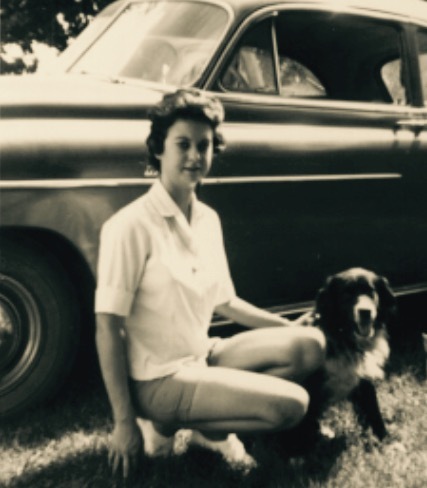 In memory of my dear sister, Paulette Wells Cargile. Born on Valentine’s Day, she was a sweetheart to everyone whose life she touched. Who continue to grace us with her spirit. Missed by all who remain behind. Who gave her life that knows not time. The words from the pulpit pierced my heart as the pastor challenged us to look around the congregation and notice that the crowd we formed that morning was likely the most “racially homogenous group” we routinely gather with in any given week. While that might have been a bit of an overstatement, the message was clear. It was also very timely, coming just a week before the start of Black History Month in our nation. Given the emphasis placed on the diversity of these two gatherings, why is the congregation with whom we worship every Sunday usually the most racially homogeneous group we will be a part of all week? What does the fact that I had not even noticed the lack of racial diversity in that particular congregation in my assessment of it as a potential future home say about me? Does being heartened when I see minority visitors in our congregation and making a special effort to greet them mean that I have overcome the influences of racial prejudice that permeated the culture of rural Georgia in the formative years of my youth? Or am I attempting to mask any vestiges of those influences that remain? Should it matter so much that, as Dr. Martin Luther King once famously remarked, 11:00 a.m. on Sunday morning remains the most racially segregated hour of the week in our nation? If it does, then what is the best approach toward seeking a remedy in the local church? What message does it send to the unchurched when they see how racially segregated our churches remain in a culture that has made great strides in racial diversity? 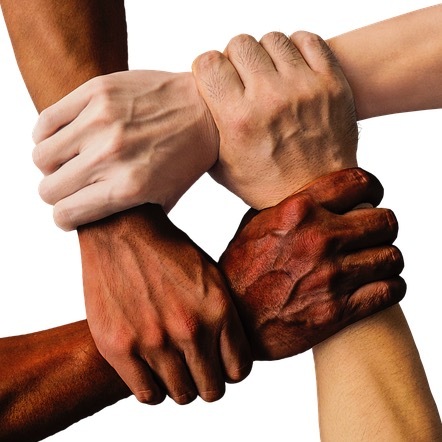 While racial diversity can be a sensitive topic, it is a conversation that those of us within the Body of Christ, who have been given a ministry of reconciliation, (2 Corinthians 5:18) should be having as we move closer to that day John speaks of in Revelation 7. Whenever I visit churches where racial diversity is more the norm, inevitably I come away encouraged, anticipating the day when all our differences will disappear in the light of our Savior’s presence. Clearly, I have presented more questions than answers here. But then reflecting on the questions, whether we can find honest answers or not, is not a wasted exercise. It fosters introspection, helps reveal who we are, and more importantly, who God desires us to become. Scripture is divinely inspired and designed to accomplish that very purpose. Super Bowl LI is now in the history books. While I am disappointed that my home team, the Atlanta Falcons, fell short in their quest to capture the Lombardi Trophy, I must readily acknowledge that this year’s game definitely lived up to Super Bowl hype. As I reflect on all the related activities that always surround the game, there are several applications for gospel ministry that come to mind. Time Investment: I am struck by the immense volume of television coverage devoted to pre-game analysis, opinions, advice, predictions, and post-game analysis as compared to time spent actually playing the game. Ministry Application: Many of us, myself included, sometimes tend to over-prepare and under-minister. Churches devote a lot of attention to offering program after program, Bible study after Bible study, and multiple leadership/teacher/discipleship training opportunities. These are worthwhile activities designed to help us grow spiritually and equip us for the mission field outside our walls. But all too often, rather than being a means to an end, they become an end in themselves. We can develop the false notion that somehow our participation in these activities defines us as a strong Christian or a devoted follower. And yet, the time we spend in hands-on ministry, being salt and light to the world around us, often pales in comparison to the time spent in preparation. Then there’s the halftime show – this year with Lady Gaga. Widespread speculation concerning how outrageous her performance might be or what political statement she might make prompted Fox to televise her show with a five-second delay. Ignoring those concerns, she delivered a jaw-dropping, energetic, and acrobatic performance. Ministry Application: As witnesses, we have been commanded and entrusted to go into all the world and share the greatest story ever told – the life-transforming gospel of Jesus Christ. While doing that, we must be mindful of avoiding the distractions the enemy employs to take the focus off of that message. To name just a few, these include: “teaching as doctrines the commandments of men“, (Mark 7:7 ESV) Christian celebrity, commercial concerns like book royalties and TV exposure, and worship services that feel more like Gaga-style rock concerts..
All these things tend to take our focus off of Christ, cause divisions within his church, elevate man instead of God, and needlessly dilute our message. Look no further than the Corinthian church for a Biblical case study on this. Great Comebacks: In sports, the most exciting and memorable games involve great come-from-behind victories. Last night’s game was a classic example. After being down by a score of 28-3, the Patriots scored 31 unanswered points to win what many are already hailing as the greatest Super Bowl ever. Certainly, it was the greatest comeback in Super Bowl history. But it is not the greatest comeback in human history. That occurred on an Easter morning 2,000 years ago when our Savior cast aside his grave clothes and left an empty tomb behind. And he has one more comeback to pull off still. Like the first one, it too will change history. In fact, it will make all things new. And the audience for that comeback will exceed that of all the Super Bowls combined. In spite of a shocking upset of Florida State, Georgia Tech only won three games in 2015. After a very successful run as the head coach of the Georgia Bulldogs, one of the classiest coach in college football, Mark Richt, was dismissed. The salaries being paid to head coaches had grown exorbitant, especially when compared to university presidents. In my mind, college football was becoming too much like big business, or like the NFL. The documentary, Last Chance U on Netflix revealed disturbing exploitation of football players at a community college program in Mississippi. If the things that series revealed were going on at a community college, I could only imagine what must be happening at the power schools. Alabama won yet another national championship- Ho-hum. The movie, Concussion, starring Will Smith, painted a picture of the NFL seemingly disregarding the evidence pointing to the dangerous long-term impact of head trauma with its players. Other documentaries, like Gleason and books like Ben Utecht’s memoir, Counting the Days Until My Mind Slips Away: A Love Letter To My Family, left me hoping my grandchildren would pursue other sports. Georgia Tech won nine football games in 2016, including an exciting comeback win over the Georgia Bulldogs in their rivalry game and a Taxslayer Bowl victory over Kentucky. The ACC (Atlantic Coast Conference) had the best post-season record of any conference ever, its teams winning 9 games against only three losses. In perhaps the most exciting game of the year, Clemson (an ACC school), defeated those bullies, the Alabama Crimson Tide, to win the National Championship. 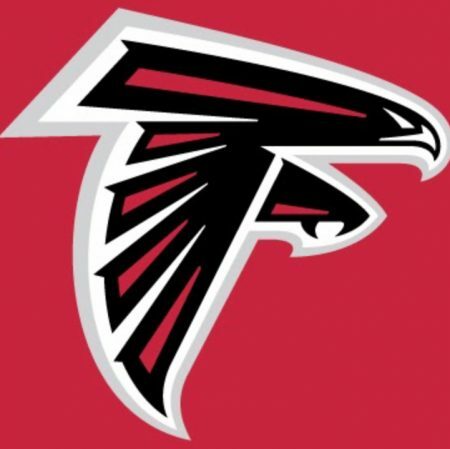 The Atlanta Falcons are playing in the Super Bowl!!!!! 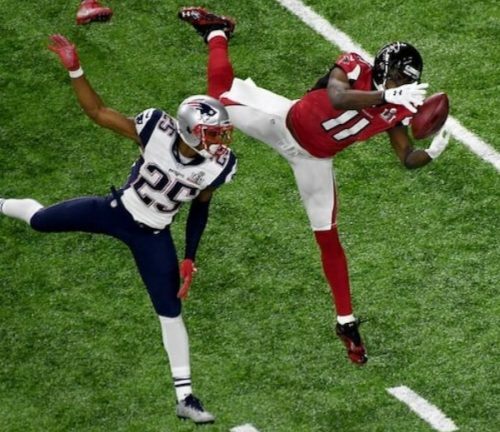 So fly high, Matty Ice and Julio Jones! (my favorite former Alabama player) Rise up, you Dirty Birds. Take it to those lying, cheating, ball-deflating New England Patriots. The hopes of my championship-starved home state of Georgia rest on your mighty shoulders. As far as those other issues I raised earlier, I heard this week that concussions are down 11% in the NFL this year. So there’s that!